The earliest time to check-in to a cabin is 3:30 p.m. and check-out is by 10:30 a.m. If you are running late and need to check in after Park closing, you may do so until 9:30PM. If the front gate is locked when you arrive, simply press the call button and a friendly Staff member will direct you to your cabin. How many people may stay in a cabin? 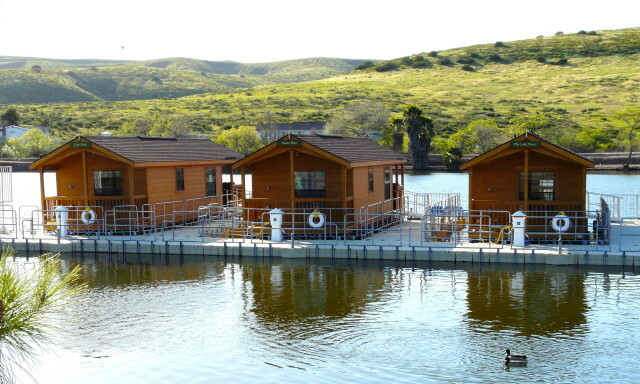 All cabins at Santee Lakes are limited to a maximum of six guests. How many vehicles are allowed each cabin site? One vehicle is allowed per cabin site. All other vehicles must be registered and paid in advance at the General Store/Registration located at Lake 5. Guest vehicles may park in guest parking spaces (subject to availability). Registered guests are responsible for the actions of their visitors. What time is “quiet time”? Quiet time shall be observed from 9:00 p.m. to 8:00 a.m. During quiet time, loud talking, music, and other disruptive activities are not permitted. Failure to observe “quiet time” may lead to the cancellation of your reservation and eviction from the premises. What are the rules regarding unattended minors in the cabins? Minors under the age of 18 not accompanied by an adult are required to be in their cabin by 9:00 p.m. If I check-out early or leave before my stay is over, may I get a refund? Who is responsible if damages occurred during our stay? 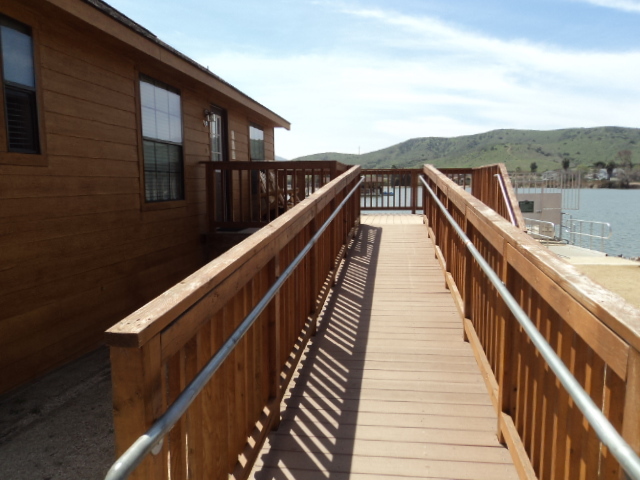 The individual making the reservation assumes responsibility for any damage to the cabin, including amenities and Park property, during the stay. A complete inventory is taken after each stay. A credit card must be provided for a damage deposit. Any damages will be automatically charged to the credit card on file. A $20 fee will be charged for a lost cabin key. All cabins are non-smoking, which includes vape devices.